N.B. This page is no longer actively maintained but is retained for archival purposes. 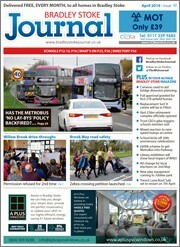 This page brings together news and resources relating to the construction of the North Fringe to Hengrove Package MetroBus route through Bradley Stoke. The construction phase began on Wednesday 2nd September 2015, with the closure of a short section of Woodlands Lane for an estimated 18 weeks. Alun Griffiths (Contractors) Ltd have been awarded the contracts for the Stoke Gifford Transport Link (SGTL) and works at Bradley Stoke Way and Coldharbour/Stoke Lane. Alun Griffiths have written to residents affected by the works. The letters provide contact details for their Community Liaison Officer, who will answer queries relating to the construction works. Alun Griffiths have appointed a dedicated Community Liaison Officer for the MetroBus project, James Aitken, who can be contacted on 08458 622327 (or via email at metrobus@alungriffiths.co.uk). The number is manned between 8am and 6pm Monday to Saturday. Outside these hours, please leave a message and your call will be returned. For more information, visit the contractor’s community website for the North Fringe to Hengrove Package MetroBus project. To send a compliment, query or complaint, visit the Contact the Site page. If you are dissatisfied with the response you receive from the contractors, you might wish to raise a complaint with the relevant local authority. Completion of work on street light columns on Bradley Stoke Way, close to Great Stoke (Rabbit) Roundabout. All Alun Griffiths work on Bradley Stoke Way now finished (except for snagging). New bus lane on the Bradley Stoke Way approach to Great Stoke (Rabbit) Roundabout fully opened. N.B. The above diagrams do not form part of the granted planning permission and may contain information that has since been superseded. 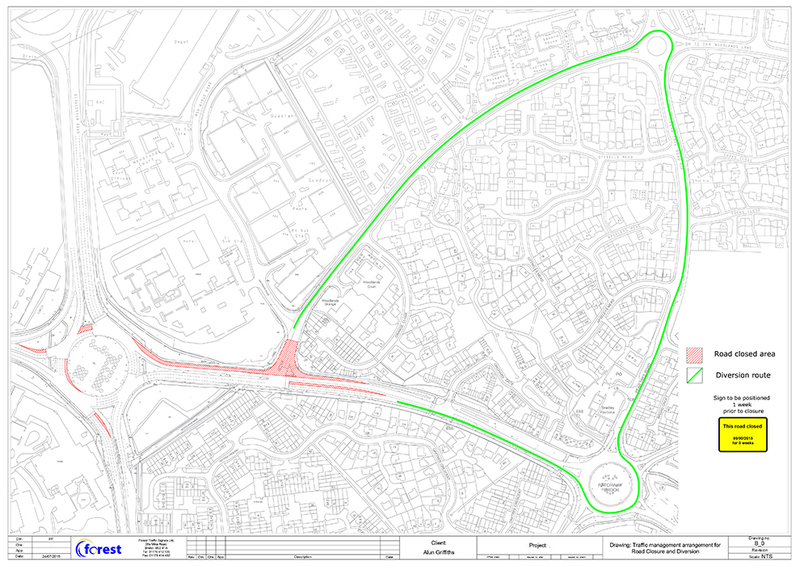 Construction Phasing Plans for works between Aztec West Roundabout and the Aldi Roundabout (first published 3/3/16). The MetroBus services will operate under a Quality Partnership Scheme (QPS), which sets out the standards of vehicles and services which operators must provide to operate MetroBus Services and the obligations on the local authorities to maintain the MetroBus infrastructure. A statutory consultation on the proposed QPS has now closed and there were no admissible objections. Minor modifications and clarifications are being made and it is anticipated that the making of the proposed scheme will be recommended to the Councils in the new year. Construction work on the scheme began in early August 2015. Contractors are on site at Bradley Stoke Way and Stoke Gifford Transport Link with work on the A4174 Ring Road and Coldharbour Lane (as well as sites in Bristol) due to commence later in October. Construction is programmed to take approximately two years with the new MetroBus service running on the route by August 2017. Thursday 12th January 2017, 7pm to 8.30pm at Baileys Court Activity Centre, Bradley Stoke BS32 8BH. The meeting will consist of a presentation regarding the remaining roadworks on Bradley Stoke Way and the implications for residents and commuters. A question and answer session will follow. Presentation slides from the meeting: PDF; Facebook | Minutes (MetroBus communications officer). Friday 26th February 2016, 7pm at Bradley Stoke Community School: Public meeting to to discuss issues surrounding MetroBus works. Read more… | Notes from the meeting (BSJ magazine March 2016). 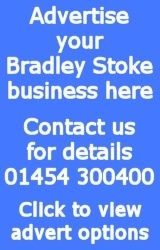 Thursday 14th January 2016, from 10.30am to 12.30pm at the Jubilee Centre, Bradley Stoke and from 6.30pm to 8.30pm at Baileys Court Activity Centre, Bradley Stoke: Drop-In Sessions – to answer any queries or questions you may have for the contractors regarding the MetroBus construction works on Bradley Stoke Way. 5th December 2017: MetroBus construction report for November. 7th November 2017: MetroBus construction report for October. 5th September 2017: MetroBus construction report (August 2017). 12th July 2017: MetroBus construction: June progress report. 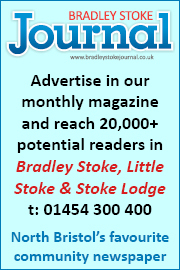 26th June 2017: We were told that 24-hour temporary traffic lights would be used at the southern end of Bradley Stoke Way for a two-week period starting Monday 12th June. They didn’t materialise, but have now arrived on site and have been in use for part of today. 26th June 2017: More MetroBus shelters being installed this week. This time at Great Meadow Roundabout (Bradley Stoke Way / Baileys Court Road). 20th June 2017: Announcement by MetroBus today, but it includes no news about which firm will be operating the route through Bradley Stoke or when services will commence on it. 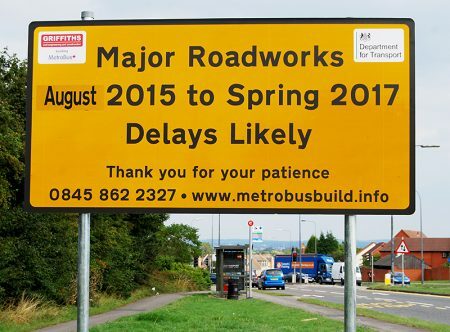 14th June 2017: Roadworks.org reports “delays likely” as a MetroBus shelters are installed “near Pizza Hut” on Bradley Stoke Way this week. 25th May 2017: MetroBus overspend will lead to poorer roads. 9th May 2017: MetroBus construction: April progress report. 1st May 2017: Temporary changes to traffic flow at Parkway North Roundabout. 10th March 2017: MetroBus project: February progress report. 26th February 2017: Three weeks of temporary traffic lights, but contractor says they will be off-peak only. 14th February 2017: We are informed that the Woodlands Lane junction on Bradley Stoke Way is now FULLY REOPENED. 13th February 2017: Expect delays as five-way traffic lights are deployed at Patchway Brook Roundabout (near Aldi) overnight from 8pm today and tomorrow. 27th January 2017: There have been many complaints since Tuesday about a change in the sequencing of the traffic lights at the Aztec West Roundabout, resulting in fewer cars being let out of Bradley Stoke Way during each green phase. 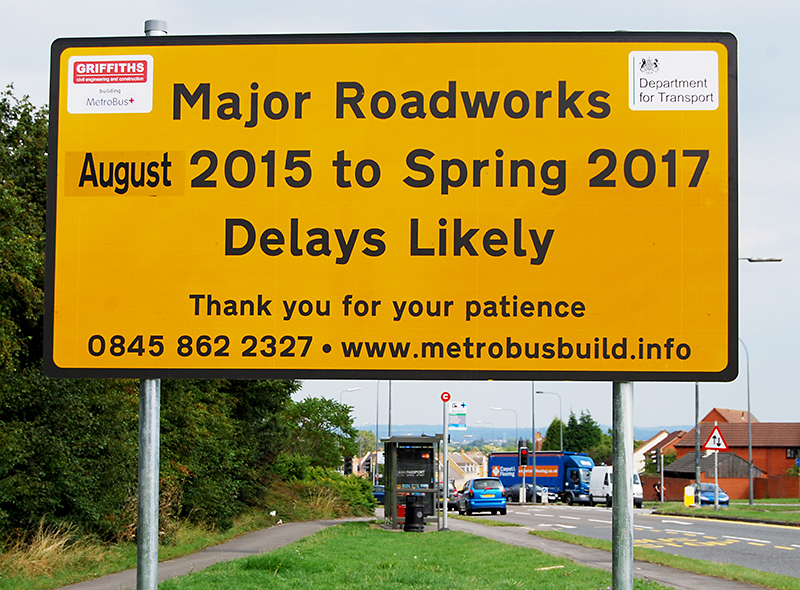 3rd January 2017: MetroBus roadworks to continue until July. 11th December 2016: No official announcement, but back to three lanes on the Bradley Stoke Way approach to the Aztec West Roundabout today. 9th December 2016: Full reopening of Woodlands Lane junction delayed AGAIN until New Year. 2nd December 2016: FIFTEEN months ago to the day (2nd September 2015), the Woodlands Lane junction was closed for an estimated 18 weeks of #MetroBusBuild. 30th November 2016: The 73 buses are being “regulated” again this morning. It’s “due to the roadworks,” say First. 25th November 2016: Some readers have reported slightly less severe delays following alterations to lane closures on Bradley Stoke Way yesterday (24th Nov). However, Griffiths still haven’t extended the two-lane running section to start at the Woodlands Lane junction, which is what they clearly stated they would do in their own traffic management plan. 21st November 2016: Ultimately, it’s South Gloucestershire Council (SGC) who are responsible for the NFHP MetroBus scheme. Do you have a question you’d like to put to them about the traffic chaos that is being caused by the MetroBus roadworks in Bradley Stoke? 21st November 2016: MP tells South Glos Council to “get a grip” and sort out MetroBus traffic chaos. 21st November 2016: First warns of delays of “up to 75 minutes” on the 73 bus service due to “lane closures in and around Aztec West and Bradley Stoke Way associated with Metrobus works”. 21st November 2016: Traffic on Brook Way northbound is tailed back to Manor Farm Roundabout (near the Jubilee Centre). Google Maps traffic showing problems across Bradley Stoke on this rainy Monday morning. 18th November 2016: The “traffic hell” caused by MetroBus roadworks in Bradley Stoke is being discussed on BBC Radio Bristol this morning. 15th November 2016: Seen on Twitter: “How much worse does traffic have to get to persuade #bradleystoke that the car is not the answer?” Do you agree? 15th November 2016: And now we have traffic light control at the other end of Bradley Stoke Way, near Great Stoke Roundabout (a.k.a. Rabbit Roundabout). 15th November 2016: Traffic not looking too good this morning. 13th November 2016: Bradley Stoke Way lane closure to start on Monday morning. 8th November 2016: Readers reporting another ‘Gridlock Tuesday’ in Bradley Stoke. Bowsland Way, Woodlands Lane and Trench Lane particularly bad. 26th October 2016: The estimated final cost of building the MetroBus route that passes through Bradley Stoke has risen by £11.4 million to £113.3 million. South Gloucestershire Council’s share of the projected overspend is £7 million. 19th October 2016: The disruption caused by MetroBus roadworks in Bradley Stoke is being discussed on BBC Radio Bristol this morning. 5th October 2016: Woodlands Lane junction set to be fully reopened by Christmas … but before that, motorists will have to put up with a new ten-week lane closure on Bradley Stoke Way. 18th September 2016: Overnight closures of a section of Bradley Stoke Way for resurfacing work, originally planned to start as early as Monday 19th September, are now expected to take place in December. 8th September 2016: MetroBus construction report (August 2016). 8th August 2016: Reader reports of temporary traffic lights at Great Stoke (a.k.a. Rabbit) Roundabout and Great Stoke Way. 23rd July 2016: No, Bradley Stoke Way will NOT be closed for 18 months for resurfacing! 19th May 2016: Contractors close off one lane on Bradley Stoke Way, on the approach to the Aztec West Roundabout, causing massive tailbacks during morning rush hour. 24th March 2016: MetroBus contractor Griffiths has issued a statement regarding noise disruption in the vicinity of Great Stoke Way, due to the use of a piling hammer. 20th Mar 2016: Don’t be surprised to find the number of lanes on the Bradley Stoke Way approach to the Aztec West Roundabout reduced from three to two sometime next week. 16th Mar 2016: New ‪#‎MetroBusBuild‬ lane closures in Bradley Stoke (looks like phase 2.1 has started). 14th Mar 2016: Footway closures on Bradley Stoke Way. Reopening of Patchway Brook zebra crossing. Further delay to full reopening of Woodlands Lane junction (now “late autumn”). 1st Mar 2016: “‪#‎MetroBus‬ Where have our trees gone?” asks a Twitter user. 26th Feb 2016: Traffic is now being allowed to turn left into Woodlands Lane from Bradley Stoke Way. 25th Feb 2016: ‪#‎MetroBusBuild‬ set to move further down Bradley Stoke Way. 23rd Feb 2016: The left turn into Woodlands Lane from Bradley Stoke Way will be reopened by Monday 7th March. 15th Feb 2016: MP calls public meeting to discuss issues surrounding MetroBus works. 11th Feb 2016: Bradley Stoke MetroBus build update (Jan ’16) – “Possibility of evening and weekend working being explored,” says council. 12th Jan 2016: MetroBus construction team to answer public’s questions at drop-in sessions. 5th Jan 2016: SGC confirms plan to start new roadworks at Aztec West, in parallel with MetroBus build. 23rd Dec 2015: #‎MetroBusBuild‬ Christmas shutdown in Bradley Stoke. The excavators have been parked up at the Woodlands Lane junction since last Friday afternoon. 14th Dec 2015: Woodlands Lane closure extended to August 2016. 11th Dec 2015: MetroBus construction gathers pace, but Woodlands Lane re-opening delayed. 4th Dec 2015: Statement from Alun Griffiths (Contractors) Ltd on the closure of the zebra crossing on Bradley Stoke Way, near Patchway Brook Roundabout. 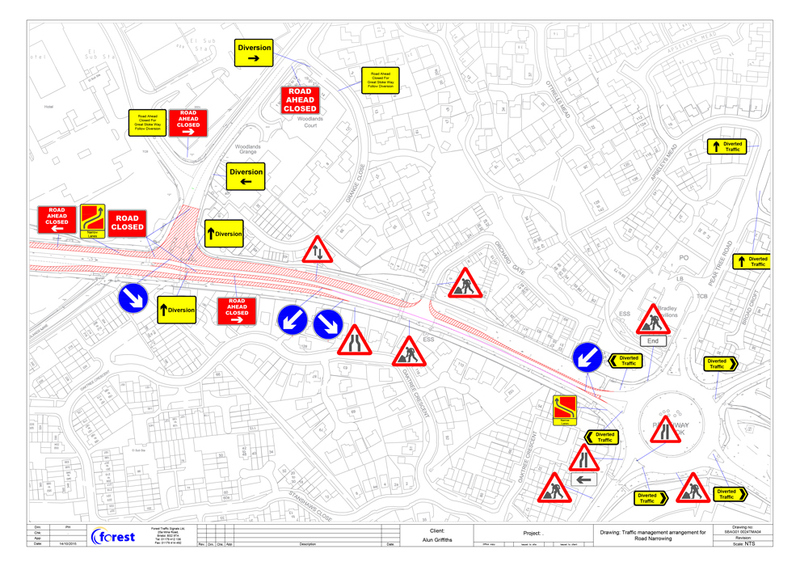 28th Nov 2015: Traffic management plan for road narrowing introduced on Bradley Stoke Way this week. 26th Nov 2015: #‎MetroBusBuild‬ activities are now commencing on another section of Bradley Stoke Way, between Woodlands Lane and Patchway Brook Roundabout (near Aldi). 19th Nov 2015: Right turn into/out of Orchard Gate (from/onto Bradley Stoke Way) to be prohibited for likely duration of 38 weeks from 7th December 2015. 16th Nov 2015: Complaints and opinions about road signage/markings at the Aztec West Roundabout (when approaching on A38 northbound and heading for bradley Stoke Way). 17th Sep 2015: Still hearing lots of complaints about driver behaviour and road signage/markings at the Aztec West Roundabout. 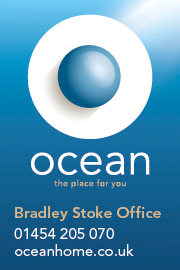 7th Sep 2015: How is the traffic in Bradley Stoke this morning? Pear Tree Road not looking too good, reports a reader. 3rd Sep 2015: First morning traffic peak during ‪#‎MetroBusBuild‬ in Bradley Stoke. How are things looking? 2nd Sep 2015: IMPORTANT: The Woodlands Lane road closure is now in force, despite contractors saying it wouldn’t happen until after 7pm tonight (Wed 2nd Sep). 1st Sep 2015: MetroBus road closures that are due to commence tomorrow (Wed 2nd Sep) will not be put in place until after the evening rush hour (so, from 7pm onwards), says a source at construction firm Alun Griffiths.